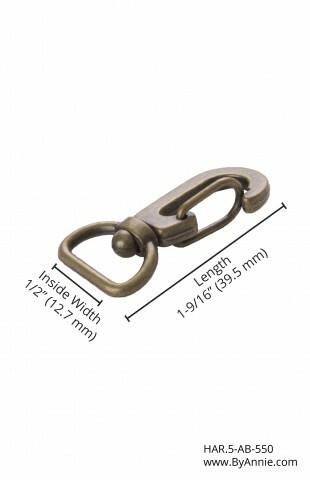 Swivel hooks are great for attaching handles to purses and bags or other accessories. 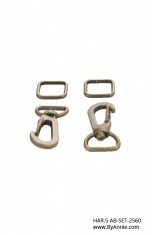 The swivel feature keeps your handles from getting tangled and twisted. These alloy swivel hooks are antique brass in color and have a spring-snap hook. 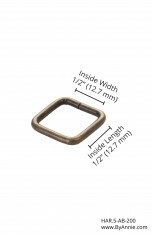 They have an opening for a ½" strap. 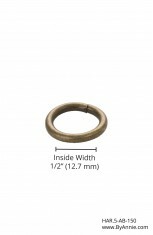 NOTE: Sold individually, one per package. 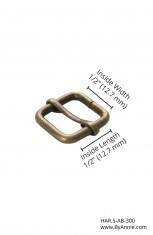 For coordinating hardware, see also the antique brass O-rings, rectangle rings and sliders. 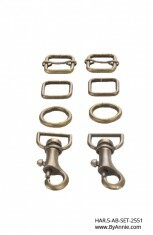 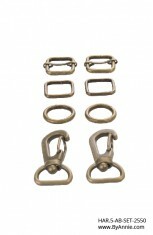 Hardware sets in antique brass are also available.